Eight weeks ago, I set out on a challenge: raise as much money as possible in a ten-week period to benefit The Leukemia & Lymphoma Society. I launched the Cancer Don’t Care campaign during a personally tumultuous time, including losing my father to blood cancer just five weeks before the campaign began. It would have been understandable to step down and privately grieve. Instead, I decided to share my grief publicly to help improve the odds for the next person fighting cancer. The need to fund blood cancer research and help provide critical patient aid is concrete. The campaign has made great progress thanks to the many generous donations from people like you. The funds raised benefit The Leukemia & Lymphoma Society, the world’s largest voluntary health organization dedicating to funding research, new treatments, and cures for leukemia, lymphoma, and myeloma. They provide critical education, services, and support to patients and families battling these cancers. In some cases, treatments that have been developed specifically for blood cancers have proven to treat other types of cancers and serious diseases. Over the past few months, I have approached friends and family, our networks, and strangers for support. Many of you have generously stepped up in support of the cause, and in honor or memory of those you know affected by cancer. We are in the homestretch! There is still time left, but not much! Online “Gallery Night” – an online auction of photography and paintings, generously donated by talented artists. Berlin Marathon Auction – online auctions for entries to the sold-out 2014 Berlin Marathon, paired with an Adidas GPS watch. Fornasetti Plates Auction – online auction for a pair of highly collectible 1955 vintage Italian plates. All these auctions are made possible through the generosity of loved ones and friends, and friends of the cause. Please feel free to participate and bid on these amazing pieces! DONATE – online giving is secure and easy. Gifts of any size are truly appreciated. Sponsor – high-level gifts receive Grand Finale Gala tickets, corporate advertising, and much more. Packages are listed in the link. I am available to discuss how these packages can be customized to you and your company. If you are interested in this option, contact me for more information. Gifts in Kind – have goods or services you’d like to donate? Items will be auctioned off during the campaign. A bottle of wine? A package of massages? A dinner for two? All proceeds directly benefit The Leukemia & Lymphoma Society. I cannot express my heartfelt gratitude enough. Your support has been a continuous source of inspiration, healing, and hope. If when the next person diagnosed with a blood cancer stands a better chance of fighting and surviving, then we’re one step closer to the ultimate goal: a world without cancer. 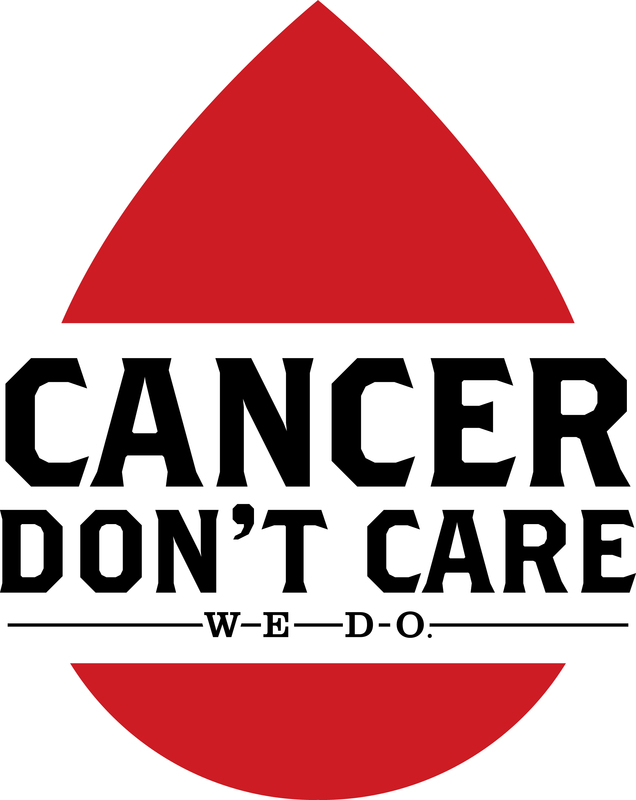 Cancer Don’t Care. We Do.